KQED’s Youth Advisory Board is made up of high school students from across the San Francisco Bay Area region who provide feedback for KQED’s content and products. KQED is a public media organization that delivers important news and stories to Northern California on TV, radio and the web. We also create interactive tools and content to help students and teachers thrive in 21st century classrooms. We want teen voices to help us better serve young people with meaningful media content in and out of the classroom. Advise on different KQED products and programs, in Education and News // Questions like, what do you think of our new online investigation tool for students? Or, what stories are you paying attention to in the news? Advise on topics and production of KQED’s award-winning YouTube series, Above the Noise // We’re planning our spring calendar of episodes. What issues and topics are you most curious about? Your ideas and opinions will make an impact on KQED’s work, which is seen and heard nationwide. All high school student voices are welcome! You can be someone who enjoys using media and following interesting content, or someone who makes media yourself. We love creative thinkers; people who don’t necessarily fit in a box; those who can represent non-mainstream, underrepresented voices; and anyone who’s curious and excited about all kinds of media—social media, video, podcasts, blogs and more. Whether you’re outgoing or on the shy side, being comfortable working in a group and a willingness to share your opinion is essential (and we’ll provide the tools and support to do that!). It’s a great opportunity to build community with other Bay Area teens, learn more about media making, and use your voice to help KQED provide better programming to students and the KQED audience as a whole. A high school student in grades 9-12. 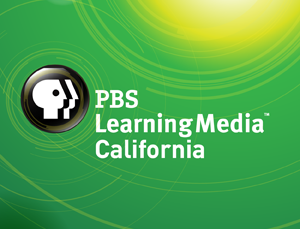 An interest in advising and giving input on various KQED programs, products and initiatives. Able to attend monthly after-school meetings at KQED in San Francisco, two Saturday meetings (Fall, Spring), and at least one community event. Immediate family members of KQED staff are ineligible. The Youth Advisory Board meets once a month from 4:30pm to 6:30pm on Tuesdays, as well as on two Saturdays, one in each semester, during the school year. Any additional meet-ups, including one required community event, will be announced throughout the school year. KQED is located at 2601 Mariposa Street, in the Mission District of San Francisco. Youth Advisory Board members receive a $300 Visa gift card for their participation (paid in two installments). Plus, yummy snacks during meetings. Transportation funds are available for those who may have challenges with traveling to and from meetings. Sunday, September 9: Applications are due by 11:59pm. Wednesday, September 12: We will invite candidates to the group interview stage. September 17-19: Group and individual interviews! Thursday, September 27: Acceptance notifications will be sent via email. Questions? Email us at youthmedia@kqed.org.